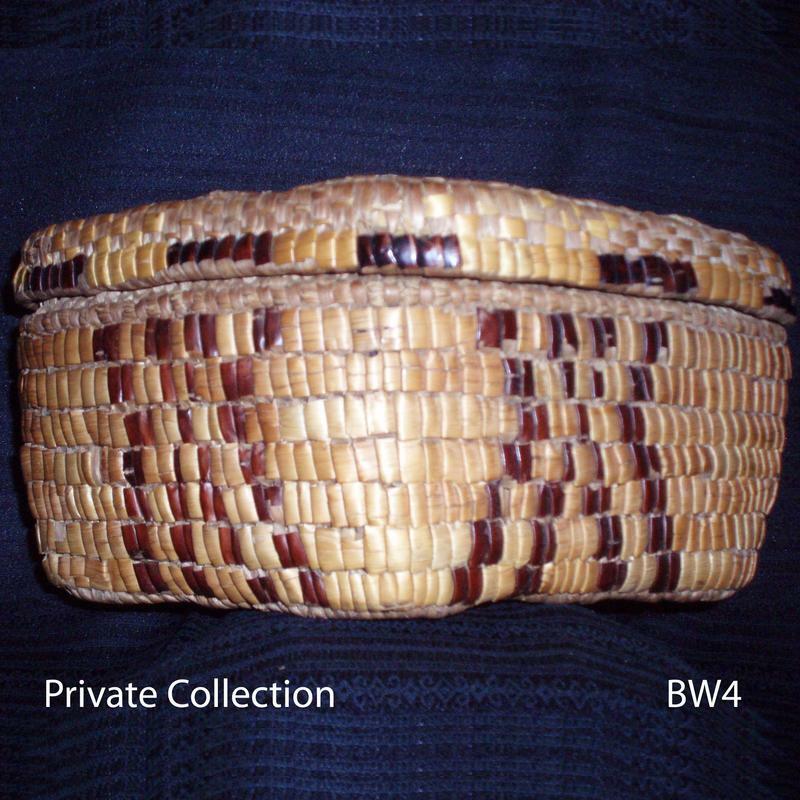 This basket is unique, both in its shape and in being fully imbricated, which is unusual in northern Coast Salish baskets. 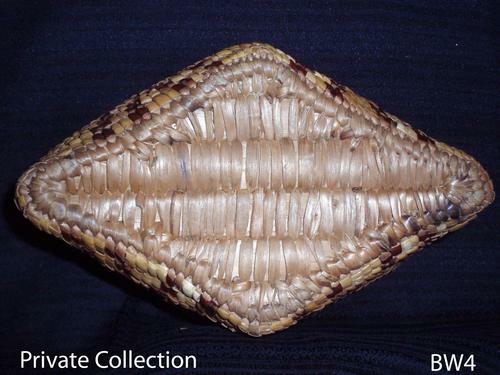 Its' lid construction is also a bit unusual because the sides of the lid are of bundle coil rather than slat coil construction. 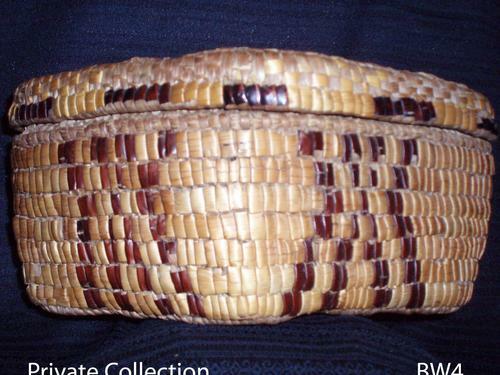 The maker of this basket was the great grandmother of the current owner. She made it for a young orphan boy. 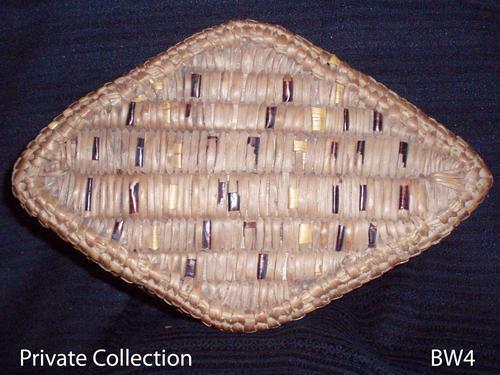 A fully imbricated, diamond shaped basket with lid. 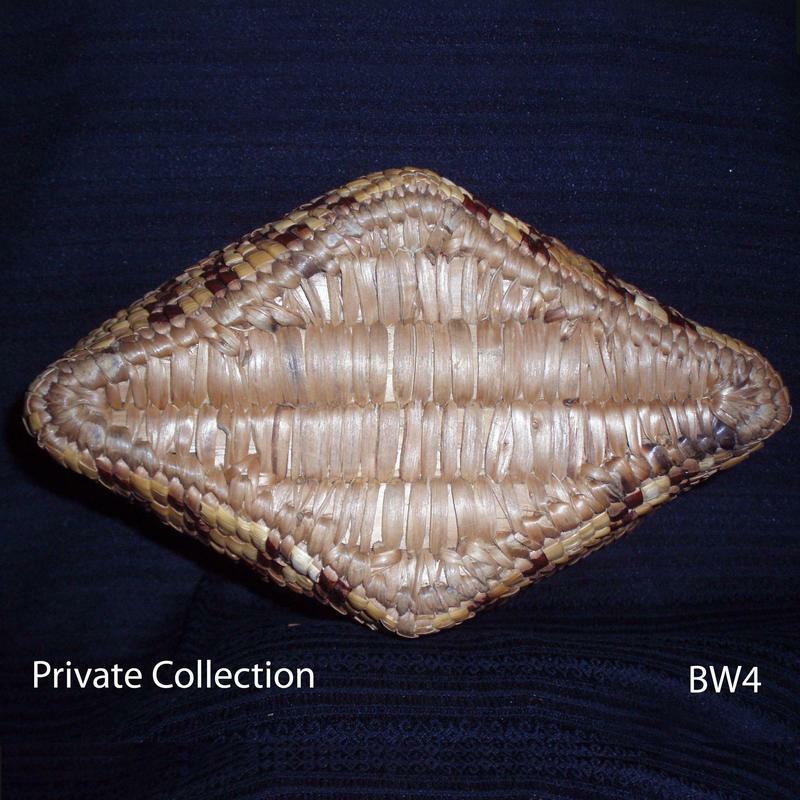 Technique(s): Slat coil and bundle coil construction, imbricated designs. 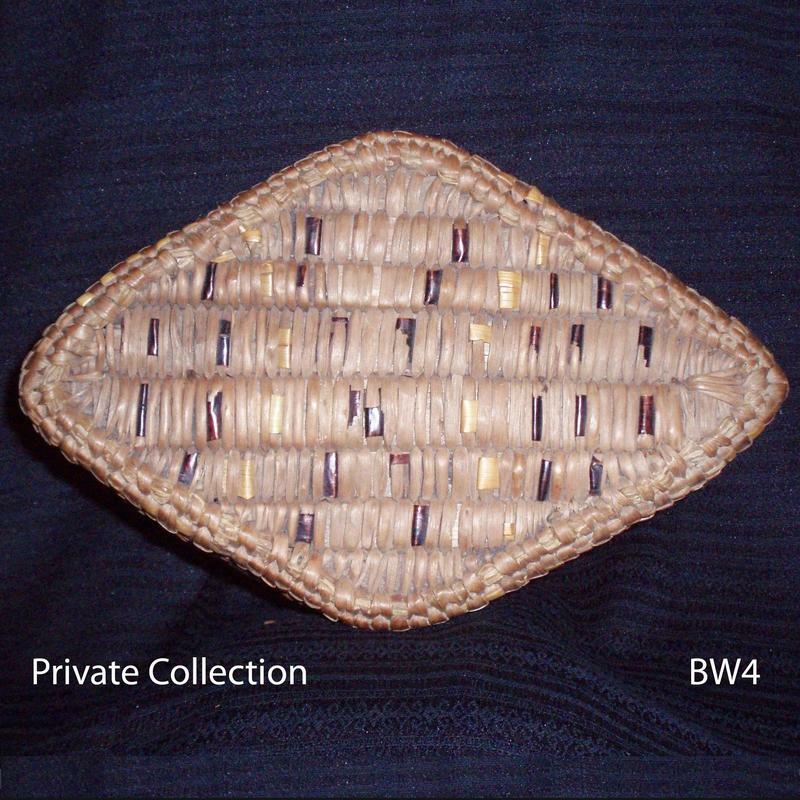 Materials: Cedar wood slats, split cedar root, bitter cherry bark in its natural red state and dyed black, and an unknown plant material (creamy yellow design elements).